Zinda Law Group is offering one $1,000 scholarship to an El Paso student pursuing a degree program emphasizing Political Science or Government Service. This scholarship is open to high school and college students either from El Paso or attending an El Paso-area college. 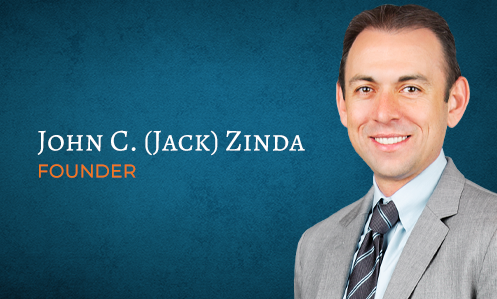 Zinda Law Group is dedicated to helping El Paso students passionate about helping their community pursue higher education. Selection will be based on academic history and extracurricular activities. Financial need will not be considered. Must be enrolled in an accredited college or university and planning on continuing the next semester, or a high school senior planning on attending college after graduation. The scholarship recipient will be notified following the deadline. The award will be sent directly to the recipient by check to the recipient's permanent mailing address. To apply for this scholarship, please submit the following form by December 1. The essay can be any topic of your choosing, please keep between 500-1000 words. Zinda Law Group is a Better Business Bureau® law firm, with the knowledge and experience to help you in your time of need. We are confident in our ability to help you receive the justice you deserve. We will use every available tool to help you receive the compensation that you are entitled to. Interested in our scholarship but you aren’t an El Paso student? Check out our scholarship for Fort Worth, Colorado, San Antonio, and Austin/Central Texas Students.